Join us for the fourth Summer Social! TCC's Randolph Heights group will be hosting at a home in St. Paul. Please RSVP on the Facebook event or by emailing contact@trinitycitychurch.org so the hosts know how much food to provide. Please bring a side dish or dessert to share! Join us for the third Summer Social! 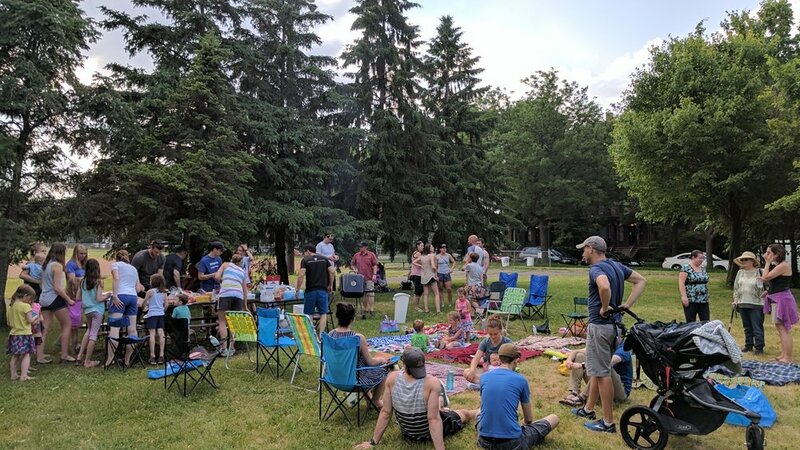 Immanuel Fellowship Church will be hosting at Powderhorn Park in Minneapolis. There is a playground and splash pad for the kiddos. Please RSVP on the Facebook event or by emailing contact@trinitycitychurch.org so the hosts know how much food to provide. Please bring a side dish or dessert to share! Join us for the second Summer Social! TCC's Highland Park and Dewey community groups will be hosting at Newell Park in St. Paul. There is a playground for kiddos to burn off any excess energy. Please RSVP on the Facebook event or by emailing contact@trinitycitychurch.org so the hosts know how much food to provide. Please bring a side dish or dessert to share!